It’s a sale! Yes, for the rest of this week, The Last Motley ebook is on sale for 99 cents. Get your copy of The Last Motley! 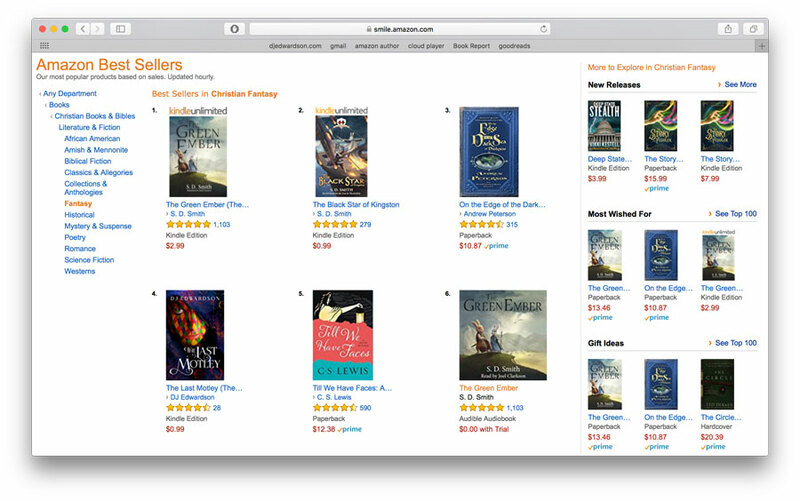 It’s already had quite a few downloads, rocketing it up to #4 in Christian Fantasy. What is especially rewarding to me, as a deep admirer of C.S. Lewis is to see my book right alongside his on the bestseller chart. Yes, sir, that is indeed his novel, Til We Have Faces just behind mine at #5! Seriously, how incredible is that? So, if you have not read it, or if you have and you know someone who needs a little nudge, here’s my attempt to get you to take a chance on this little gem of a story. In honor of the sale, I present to you, 50 reasons why you should love The Last Motley as much as I do. Phew! If you read all these, congratulations! You have my seal of approval (found just below). And I hope you enjoy the story! Yay! Next to Till We Have Faces is AWESOME!!! I know, right? That was pretty special.